I love this celebration shot of Santi. After casting Spurs aside in expert fashion in the FA Cup, it's time to get back to the league, where Arsenal still sit on top with 18 matches to play. Arsenal are still in a run of very winnable matches: their next four are against 11th place Aston Villa, 16th place Fulham, 9th place Southampton (who have tumbled from 3rd in two months,) and 18th place Crystal Palace. After that, Arsenal face Liverpool and Manchester United with a Champions League match against Bayern Munich in there for good measure, so it'll be best to go into that swing on a run of good form. This Aston Villa match, however, presents a bit of a mental challenge. We all remember what happened in the reverse fixture on opening day. Thankfully, that match turned out to be an aberration, but at the time things looked pretty damn dire. Villa's squad is designed to counter-attack, with some dangerous options up top in Christian Benteke and Gabriel Agbonlahor. The onus is on Arsenal to do the most with their possession, which Villa will let them have, and make sure the holding midfielders and back line can get back to defend when Villa sense an opportunity. A deceptively huge three points up for grabs. 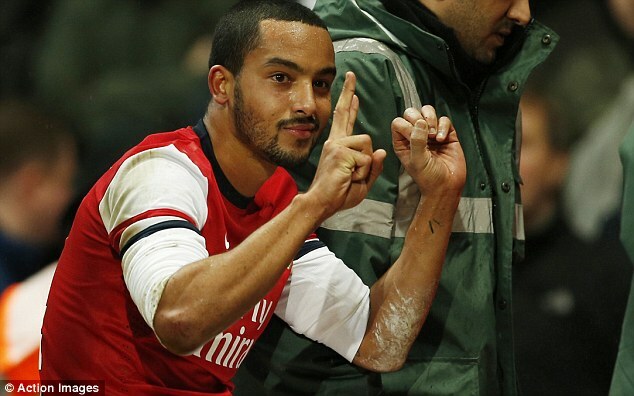 Well, as we all know at this point, the news on Theo "2-0" Walcott is bad; there's ligament damage in his knee and his season is over. I know I'm very often quick to get aggravated by Theo Walcott at times, often exaggerated for comic effect, but you cannot deny that this is a huge and disappointing loss for Arsenal Football Club as they challenge for the title this year. I wish him a very speedy recovery. In good news up front, Olivier Giroud should be recovered from the illness that kept him so sick in bed that he Instagrammed a photograph of himself still looking immaculate to make us all feel bad about how normal we look compared to him. Alex Oxlade-Chamberlain is back in training and could be in contention to play against Coventry in the FA Cup next Friday; I think this would be a bit soon for the Ox to return to game action. On Wednesday, Nicklas Bendtner's return was labeled as "10 days" away; yesterday, Arsene Wenger said "three weeks." Yaya Sanogo is also back soon. Remember him? The French kid they got on a free this summer? Kieran Gibbs and Aaron Ramsey are closer to returns than expected, which is very good news. Thomas Vermaelen, who left at halftime of the FA Cup tie after picking up a knee injury, looks to be too short as well. And, as for Abou Diaby, his return has been pushed forward to March, because of course it has. Predicted XI: Szczesny, Sagna, Koscielny, Mertesacker, Monreal, Arteta, Wilshere, Podolski, Cazorla, Ozil, Giroud. Benteke will play up top with Gabriel Agbonlahor, who has scored in each of the last two matches he's played. Villa play with three in the front; they may start Andreas Weimann or Marc Albrighton, who has returned from a loan spell at Wigan. Aston Villa's formation is best described as a 4-3-3; behind their aforementioned forwards, they'll likely play Ashley Westwood, Fabian Delph, and Leandro Bacuna in midfield. Captain Ron Vlaar is a doubt at center back with a calf problem, though they have been rushing him back from injury. I suspect he'll start, paired with Ciaran Clark in the center of defense. Antonio Luna and Matthew Lowton are the fullbacks and American Brad Guzan starts between the sticks. Predicted XI: Guzan, Lowton, Vlaar, Clark, Luna, Delph, Bacuna, Westwood, Weimann, Agbonlahor, Benteke. As for Aston Villa, they're all over the place. As of the beginning of December, Villa had gone five unbeaten in the league; they proceeded to lose four straight to Fulham, Manchester United, Stoke City, and Crystal Palace. They've rebounded with a draw with Swansea and a win over lowly Sunderland since then, but then lost at home in the FA Cup at the weekend to Sheffield United, a side battling relegation from League One, 2-1. The less that's said about the reverse fixture on opening day, the better; however, this would be the spot where we have to discuss that unpleasantness, so let's just dive right in, shall we? Arsenal were counter-attacked to death by an ambitious Villa side that rebounded despite trailing on six minutes from Olivier Giroud's opener. A makeshift Arsenal back four, hampered by an early injury to Kieran Gibbs, struggled with the pace of Christian Benteke, Andreas Weimann, and Gabriel Agbonlahor. Villa were level at halftime from the rebound of a saved penalty, then went ahead through another, more dubious penalty in the second half. Quickly after being booked for conceding the penalty, Laurent Koscielny picked up an even more dubious second yellow, and the Villans scored a third on another counter-attack while Arsenal pressed for the equalizer. 3-1 to Villa, and it looked like Arsenal were well and truly fucked. But then, that's not what happened! This fixture last year was played at the end of November in a heavy rainstorm. Arsenal got nothing going offensively all game and settled for a 0-0 draw. By the late stages, Arsenal had already settled for the single point, substituting Olivier Giroud for Francis Coquelin in a move that I said at the time "would haunt my dreams." It truly was a dire match, but on the plus side, it still means Arsenal have not lost at Villa Park in their last 14 matches, winning seven and drawing seven. 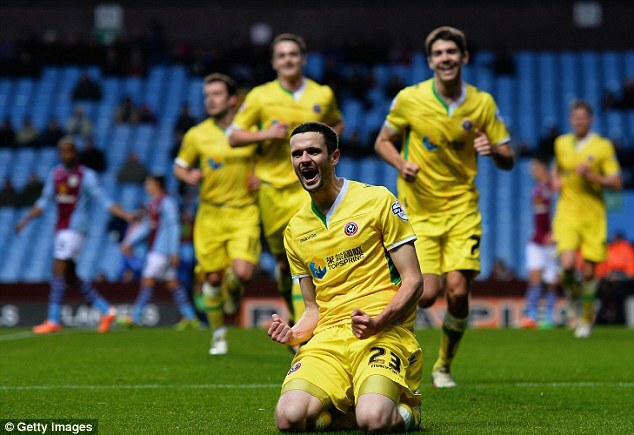 Villa's last win over Arsenal at home came in 1998; Arsenal led that match 2-0 at halftime and lost 3-2. Not shown: Neil Swarbrick's control over Arsenal v.
The referee is Lancashire-based Neil Swarbrick. Arsenal have not yet seen Swarbrick this season; Aston Villa have seen him once, for a 0-0 draw at home to Sunderland on November 30. Arsenal had Swarbrick only once last year, for their 0-0 draw against Everton on April 16. Swarbrick lost control of that match early. Arsenal had two wins from two matches with Swarbrick the season prior, at Sunderland 2-1 and at Wolves 3-0, where Arsenal were the beneficiary of a very early penalty and red card to a Wolves defender. Aston Villa had a mixed bag of results with Swarbrick last year: they beat Liverpool 3-1 at Anfield, but also lost 2-0 to Spurs at the Lane, drew 2-2 at Wigan on the final day of the season (meaningless at that point,) and crashed out of the FA Cup 2-1 to Millwall.